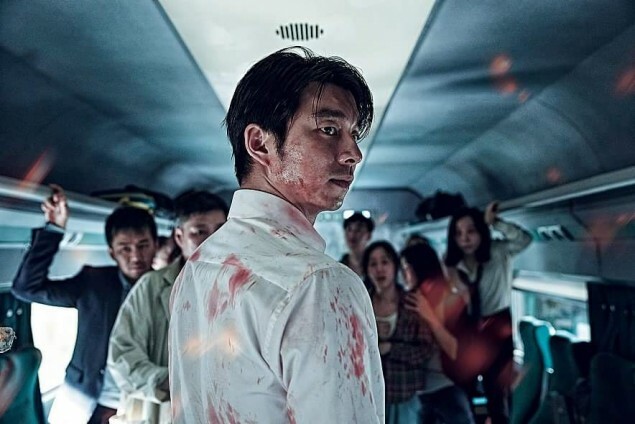 Quick Rundown: While traveling by train from Seoul to Busan with his daughter, Seok Woo and the other passengers discover that the “outside” world has been suddenly overrun with zombies. A girl afflicted with the zombie virus also snuck onboard the train, and is now attacking and turning riders into zombies. Seok Woo and others must find their way to not only Busan, a safe haven, but also survive. Even though I’d watch a scary movie any time of the year, something about the fall season really gets me in the spirit. The colder weather and approach of Halloween just makes me want to fill up my Netflix queue with films about monsters, ghosts, and all those other things that go bump in the night. Luckily for me, I got to kick off my season of horror flicks with the popular Korean box office hit, Train to Busan. 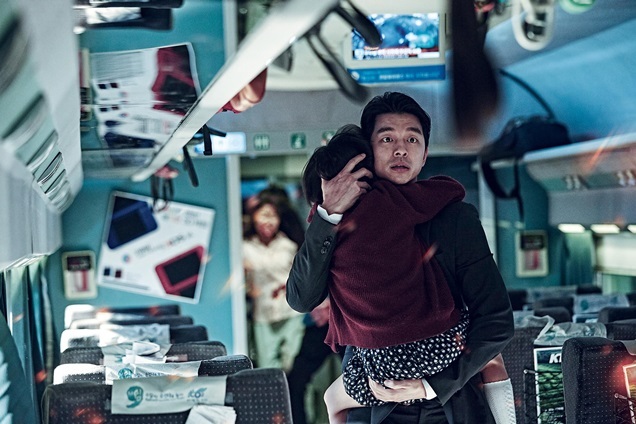 Despite lacking a bit in the story department, Train to Busan was able to provide the desired action and thrills while never feeling disingenuous. Zombie-genre entertainment usually succeed if they have realistic monsters, action scenes, and a hero we all root for. Train of Busan possesses all three, so it’s no wonder it’s been such a blockbuster hit. And as much as I enjoyed by the film, I think of it as just that; a blockbuster. The film is dominated by action sequences (read: zombie attacks), so you’re in luck if that’s what you were looking for. While undoubtedly entertaining, the constant zombie violence desperately needed to be balanced with an actual storyline. Unfortunately, that’s precisely what this movie lacked. I appreciated and enjoyed the father-daughter dynamic between Seok Woo (Gong Yoo) and Soo An, but felt that it was pushed to the wayside when the zombies came into the picture. That’s kind of problematic when they’re supposed to be the heart and soul pushing forward the plot. Only in the end do they and us, the audience, get the emotional impact that was mostly lacking throughout. Similarly, the supporting characters, like the married couple and high schoolers, existed as plot devices to simply facilitate more zombie scenes. Were these people even significant to the big picture? Not really. But credit where credit is due, the zombie scenes in Train to Busan were excellent filmed and acted. After being so used to the rotting, emaciated ones in shows like The Walking Dead, the zombies here were somehow less disgusting, but scarier. I particularly liked the film’s usage of large zombie herds to corral the characters into tight situations, literally. Those were definitely some of the most nerve-racking scenes in the movie. While I personally didn’t find this to be all that scary, newcomers to the genre should prepare for some jumps and scares throughout. The blockbuster nature of Train to Busan and its lack of plot make it unlikely to win any major film awards. The cast is talented (maybe besides Sohee…), but there just weren’t that many truly great acting moments in the film. Sure; they were some tear-jerking scenes that had me cursing at zombies, but they didn’t actually contain much resonance. Gong Yoo is extremely charismatic and likeable, so I’m mostly a little sad that his character wasn’t better written. The actors did what was asked of them to do in a movie about a zombie apocalypse, so what more can we ask for. 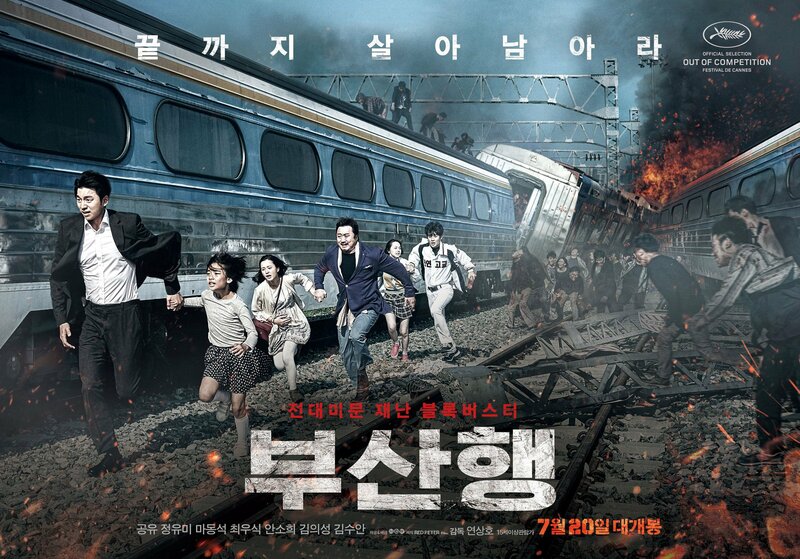 In a time when the zombie plotline is seemingly everywhere (RIP, vampires), Train to Busan puts a nice, new spin on it with the train setting*. What’s more frightening that a bunch of zombies chasing after you? A bunch of zombies chasing you in a confined space; that’s what. With well-crafted action scenes and a charismatic cast, Train of Busan is definitely a fun, entertaining ride. If you’re seeking a horror thriller with substance though, this train might not be for you. But hey, Gong Yoo’s onboard it! *If you like movies set on trains, social commentary on class warfare, and Chris Evans, check out the 2013 Korean film, Snowpiercer. It was directed by Boon Jong Ho (The Host) and starred Chris Evans, Song Kang Ho, Go Ah Sung, and Tilda Swinton. One of my favorites films! 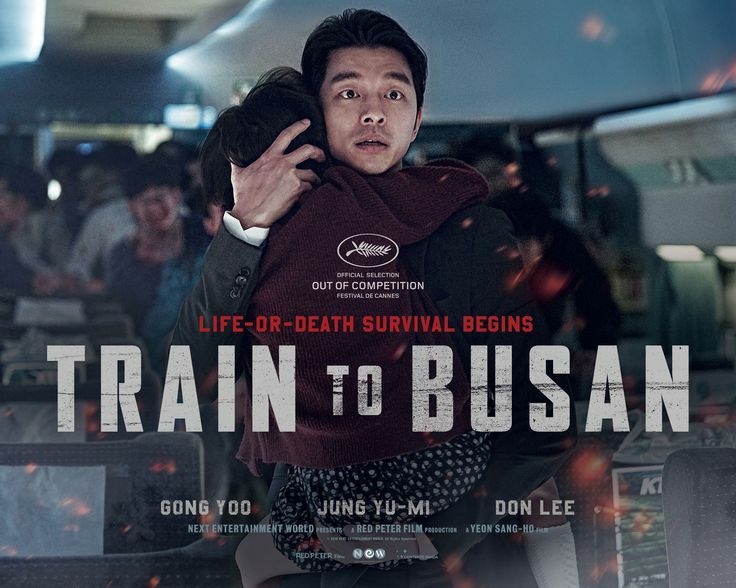 Train to Busan premiered at the 2016 Cannes Film Festival during the Midnight Screenings. This box office hit is the first Korean film in 2016 to break the 10 million moviegoers record. As of September 15, 2016, the movie has grossed $99 million worldwide. It is also now ranked #15 in Korean box office history. There have been bids from Hollywood (including Sony Pictures and 20th Century Fox) and France for the rights of the remake. An animated prequel, Seoul Station, was released a month after Train of Busan‘s release. Gong Yoo confirmed on Twitter that there will be a sequel to the film, potentially set for a 2017 release. (But will he be in it…?!?) Director Yeon Sang Ho suggested that the sequel may either focus on the rehabilitation of the area post-zombie or the story being told from the zombie’s perspective. Gong Yoo will be starring in the upcoming tvN drama, Goblin, playing the titular character. He will star opposite of Kim Go Eun, who most recently played Hong Seol in the drama, Cheese in the Trap. Lee Dong Wook and Yoo In Na are also set to co-star. Jung Yu Mi was the lead actress in the 2014 drama, Discovery of Love. Kim Eui Sung recently acted in the Han Hyo Joo-Lee Jong Suk drama, W. He played Han Hyo Joo’s father, creator of the W webtoon, and the main antagonist. Choi Woo Shik starred in the 2015 drama, Hogu’s Love, as the protagonist, Hogu. Ahn Soo Hee was a member of the kpop girl group, Wonder Girls, from 2007 to 2015. After appearing in a few dramas since leaving the group and JYP Entertainment, Train to Busan was her first major movie role.